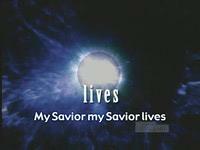 "My Savior Lives" is an upbeat, celebratory song of the living Christ. Perfect for your Easter service or for any service celebrating our salvation. Performed by Jon Egan and Glenn Packiam.